Antique Touring, a company based in Highland Park, today announced it has launched Detroit’s first-ever sightseeing tours in a Ford Model A. 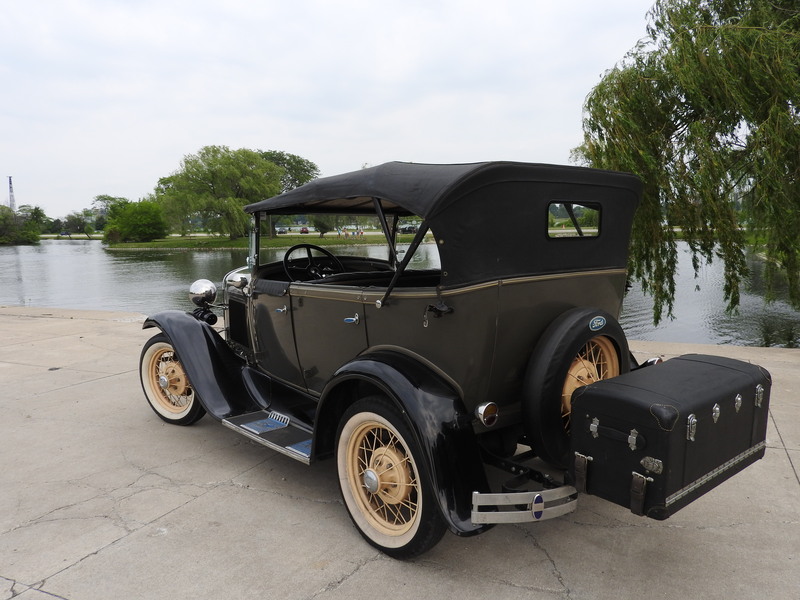 The two-hour tours depart from the Ford Piquette Avenue Plant museum at 461 Piquette St. and take guests on a scenic ride through Belle Isle. Certified drivers will share historical information about Belle Isle and its transformation over the past century. Along the way, guests will see and learn about Milwaukee Junction (the original Silicon Valley), the former Fisher Body site, and the Packard Plant. The tours are seasonal and are slated to run annually through early November. A Boston Edison tour that includes a visit to Milwaukee Junction is in the works, as well. Henry and Clara Ford lived in Boston-Edison before building Fair Lane in Dearborn. Tours can accommodate four passengers and cost $65 per person. Stolarski came up with idea for Antique Touring in June 2017 as part of a local business plan competition. From there, she purchased a 1930 Model A Phaeton earlier this year from a couple in Florida. The vehicle was originally assembled in Dearborn and has a Briggs body manufactured in Highland Park, home of Ford’s assembly line (Walter O. Briggs, former owner of the Detroit Tigers, built a home in Boston-Edison). The car’s paint and engine are original, while its electrical system has been upgraded to make the headlights brighter and to accommodate aftermarket necessities including turn signals and break lights. Stolarski plans to hire Highland Park residents, create a profit-sharing program, and seed a capital fund for matching local investments made by Highland Park residents.